ES trim. EPA 43 MPG Hwy/37 MPG City! LOW MILES - 27,302! CD Player, Auxiliary Audio Input, Edmunds.com explains With the rear seats in place, the Mirage offers a respectable 17.2 cubic feet of cargo space. With the seats folded down, capacity increases to 47 cubic feet: a good number for this class.. CLICK ME! WHY BUY FROM US Ray Skillman Westside Auto Mall has been in the automotive business in the Indianapolis and Speedway area since 2006. Ray Skillman has happily served the Indianapolis area since 1980. Our 4 dealerships stock a large selection of Hyundai, Kia, Mazda, and Mitsubishi vehicles, as well as pre-owned models from a variety of manufacturers. Our many years as a premier auto group in the region have helped us understand exactly what our customers are looking for and provide an experience that exceeds all EXPERTS RAVE With the rear seats in place, the Mirage offers a respectable 17.2 cubic feet of cargo space. With the seats folded down, capacity increases to 47 cubic feet: a good number for this class. -Edmunds.com. Fuel economy calculations based on original manufacturer data for trim engine configuration. SE trim. FUEL EFFICIENT 31 MPG Hwy/25 MPG City! 3rd Row Seat, Heated Seats, Keyless Start, Dual Zone A/C, Smart Device Integration, CD Player, BackUp Camera, Alloy Wheels, Bluetooth, iPod/MP3 Input, Front seats are a little on the firm side, but offer a good amount of legroom, as do the second-row seats, which can slide fore and aft and recline for greater comfort. -Edmunds.com. CLICK ME! WHY BUY FROM US Ray Skillman Westside Auto Mall has been in the automotive business in the Indianapolis and Speedway area since 2006. Ray Skillman has happily served the Indianapolis area since 1980. Our 4 dealerships stock a large selection of Hyundai, Kia, Mazda, and Mitsubishi vehicles, as well as pre-owned models from a variety of manufacturers. Our many years as a premier auto group in the region have helped us understand exactly what our customers are looking for and provide an experience that exceeds all Fuel economy calculations based on original manufacturer data for trim engine configuration. SE trim. LOW MILES - 41,249! FUEL EFFICIENT 29 MPG Hwy/22 MPG City! Heated Seats, Bluetooth, CD Player, Smart Device Integration, iPod/MP3 Input, 4x4, Alloy Wheels, Satellite Radio, BackUp Camera, KBB.com explains If you're seeking out a compact car that looks good, offers a good performance-to-dollar ratio, and doesn't look like it was designed in a jelly bean factory, the 2015 Mitsubishi Lancer deserves your attention. CLICK NOW! WHY BUY FROM US Ray Skillman Westside Auto Mall has been in the automotive business in the Indianapolis and Speedway area since 2006. Ray Skillman has happily served the Indianapolis area since 1980. Our 4 dealerships stock a large selection of Hyundai, Kia, Mazda, and Mitsubishi vehicles, as well as pre-owned models from a variety of manufacturers. Our many years as a premier auto group in the region have helped us understand exactly what our customers are looking for and provide an experience that exceeds all Pricing analysis performed on 4/2/2019. Fuel economy calculations based on original manufacturer data for trim engine configuration. EPA 35 MPG Hwy/27 MPG City! ES trim. CD Player, Smart Device Integration, Bluetooth Connection, Alloy Wheels, Auxiliary Audio Input, KBB.com explains The driving dynamics of the Mitsubishi Lancer deserve mention, because this compact 4-door rides, drives and handles better than the expectations of its segment require.. CLICK ME! WHY BUY FROM US Ray Skillman Westside Auto Mall has been in the automotive business in the Indianapolis and Speedway area since 2006. Ray Skillman has happily served the Indianapolis area since 1980. Our 4 dealerships stock a large selection of Hyundai, Kia, Mazda, and Mitsubishi vehicles, as well as pre-owned models from a variety of manufacturers. Our many years as a premier auto group in the region have helped us understand exactly what our customers are looking for and provide an experience that exceeds all Pricing analysis performed on 4/13/2019. Fuel economy calculations based on original manufacturer data for trim engine configuration. ES 2.0 trim. LOW MILES - 26,101! FUEL EFFICIENT 30 MPG Hwy/24 MPG City! Bluetooth, CD Player, Alloy Wheels, iPod/MP3 Input, Edmunds.com explains As a compact SUV, the Outlander Sport doesn't ride particularly high, making seat access fairly easy for smaller passengers. Short doors also help in tight parking spaces.. AND MORE! WHY BUY FROM US Ray Skillman Westside Auto Mall has been in the automotive business in the Indianapolis and Speedway area since 2006. Ray Skillman has happily served the Indianapolis area since 1980. Our 4 dealerships stock a large selection of Hyundai, Kia, Mazda, and Mitsubishi vehicles, as well as pre-owned models from a variety of manufacturers. Our many years as a premier auto group in the region have helped us understand exactly what our customers are looking for and provide an experience that exceeds all EXPERTS ARE SAYING Edmunds.com's review says As a compact SUV Fuel economy calculations based on original manufacturer data for trim engine configuration. Auto Check One Owner! PRICE DROP FROM $18,990, EPA 30 MPG Hwy/25 MPG City! ES trim. Third Row Seat, Bluetooth, Dual Zone A/C, iPod/MP3 Input, Aluminum Wheels, BackUp Camera, Edmunds.com explains The steering has a natural feel. It turns in quickly enough that you can have some fun on a back road, yet the effort is appropriately light for around-town driving. It's easy to keep the Outlander steered straight on the highway.. READ MORE! WHY BUY FROM US Ray Skillman Westside Auto Mall has been in the automotive business in the Indianapolis and Speedway area since 2006. Ray Skillman has happily served the Indianapolis area since 1980. Our 4 dealerships stock a large selection of Hyundai, Kia, Mazda, and Mitsubishi vehicles, as well as pre-owned models from a variety of manufacturers. Our many years as a premier auto group in the region have helped us understand exactly what our customers are looking for and provide an experience that exceeds all Pricing analysis performed on 4/16/2019. Fuel economy calculations based on original manufacturer data for trim engine configuration. ES trim. EPA 29 MPG Hwy/24 MPG City! Third Row Seat, Bluetooth, CD Player, iPod/MP3 Input, Aluminum Wheels, 4x4, Edmunds.com explains The 2016 Mitsubishi Outlander's interior is quite pleasant in terms of both quality and design. The dashboard has a sleek, subtle look, and it's covered with a refined soft-touch material that's matched by supple trim on the door panels.. SEE MORE! WHY BUY FROM US Ray Skillman Westside Auto Mall has been in the automotive business in the Indianapolis and Speedway area since 2006. Ray Skillman has happily served the Indianapolis area since 1980. Our 4 dealerships stock a large selection of Hyundai, Kia, Mazda, and Mitsubishi vehicles, as well as pre-owned models from a variety of manufacturers. Our many years as a premier auto group in the region have helped us understand exactly what our customers are looking for and provide an experience that exceeds all Fuel economy calculations based on original manufacturer data for trim engine configuration. ONLY 13,897 Miles! ES trim. WAS $20,990, EPA 29 MPG Hwy/24 MPG City! Third Row Seat, iPod/MP3 Input, Bluetooth, Dual Zone A/C, Aluminum Wheels, 4x4, BackUp Camera, The steering has a natural feel. It turns in quickly enough that you can have some fun on a back road, yet the effort is appropriately light for around-town driving. It's easy to keep the Outlander steered straight on the highway. -Edmunds.com. SEE MORE! 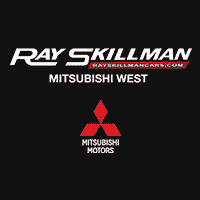 WHY BUY FROM US Ray Skillman Westside Auto Mall has been in the automotive business in the Indianapolis and Speedway area since 2006. Ray Skillman has happily served the Indianapolis area since 1980. Our 4 dealerships stock a large selection of Hyundai, Kia, Mazda, and Mitsubishi vehicles, as well as pre-owned models from a variety of manufacturers. Our many years as a premier auto group in the region have helped us understand exactly what our customers are looking for and provide an experience that exceeds all Pricing analysis performed on 4/15/2019. Fuel economy calculations based on original manufacturer data for trim engine configuration. GREAT MILES 205! SEL 2.4 trim. REDUCED FROM $28,990! EPA 28 MPG Hwy/23 MPG City! Heated Leather Seats, Bluetooth, Keyless Start, Smart Device Integration, iPod/MP3 Input, 4x4, Aluminum Wheels, Satellite Radio, BackUp Camera, It's one of the least expensive crossover SUVs you'll come across, yet Mitsubishi has managed to pack it with most of the features you'll likely want. -Edmunds.com. READ MORE! WHY BUY FROM US Ray Skillman Westside Auto Mall has been in the automotive business in the Indianapolis and Speedway area since 2006. Ray Skillman has happily served the Indianapolis area since 1980. Our 4 dealerships stock a large selection of Hyundai, Kia, Mazda, and Mitsubishi vehicles, as well as pre-owned models from a variety of manufacturers. Our many years as a premier auto group in the region have helped us understand exactly what our customers are looking for and provide an experience that exceeds all EXPERTS ARE SAYING Edmunds.com explains It's one of the least expensive crossover SUVs you'll come across Pricing analysis performed on 3/12/2019. Fuel economy calculations based on original manufacturer data for trim engine configuration.